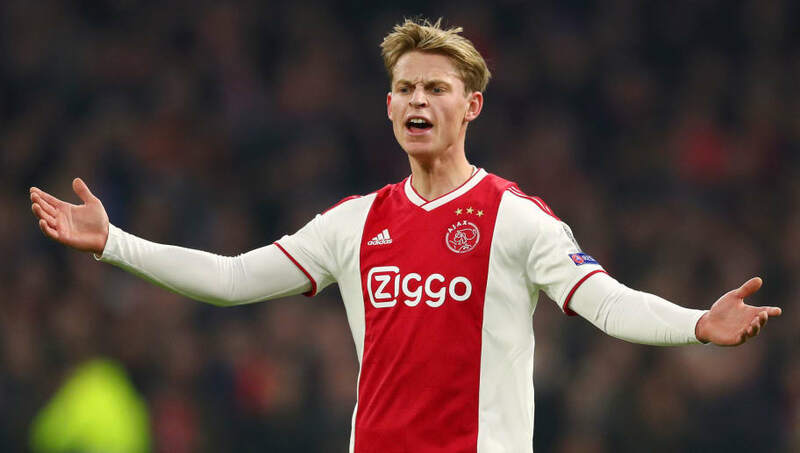 ​Frenkie de Jong's decision to join Barcelona in February is said to have been influenced by Nike's offer to subsidise the young midfielder's wages. Barcelona pipped the likes of Manchester City and Paris Saint-Germain to the 21-year-old's signature earlier this year, agreeing a €75m deal that will see him join the Blaugrana at the end of the season. According to ​ESPN, PSG were initially in pole position to land the Netherlands international, but an intervention from Nike tipped the balance back into the hands of ​Barcelona. Nike sponsor both Barcelona and De Jong and ESPN sources are claiming that the company invested a 'very important amount of money' in wages in the belief that the youngster's achievements during his time at Barcelona will see the return exceed the investment. Nike did not, however, contribute to his transfer fee. For marketing purposes, Nike also requested that De Jong uses his first name on the back of his Barcelona shirt, although he said to have been unsure over whether to agree to the request. Barcelona and Nike have been working together since 1998 and signed a deal in 2016 that will continue their partnership until 2028. The Catalan giants receive €105m per year from the deal, plus a bonus that can reach up to €160m if certain incentives are met. As for De Jong, he has previously claimed that the move was solely inspired by his love for Barca from a young age. "I always dreamed of Barca as a kid. I just wanted to play for Barca," he said, as per ​Goal. "I liked the players, I liked the style. I think Barca is a bit of my dream club."